Alcorn State will kick of the season Saturday, Aug. 31 when they make the short trip west to take on Southern Miss. A week later, Alcorn will play its home-opener at Jack Spinks-Marino Casem Stadium when it hosts Mississippi College. The Braves will celebrate the 50th anniversary of the 1969 championship team. Alcorn will hit the road at McNeese State on Saturday, Sept. 14, before returning home to play its SWAC opener against Prairie View A&M on Saturday, Sept. 21 on High School Day. The Braves will take on Mississippi Valley State on Saturday, Sept. 28 during Hall of Fame Weekend. They’ll be back on the road Saturday, Oct. 5 to face Alabama State. Homecoming is set for Saturday, Oct. 12 in a non-conference game against Savannah State. It will be just the second-ever meeting between the two programs as the Braves won the first 34-6 during their SWAC Championship season in 1970. The 2018 SWAC Championship rematch between Alcorn and Southern will take place Saturday, Oct. 26 when the Jaguars come to Lorman on Military/Service Workers Day. The Braves will then travel to Grambling State on Saturday, Nov. 9 after a bye week. 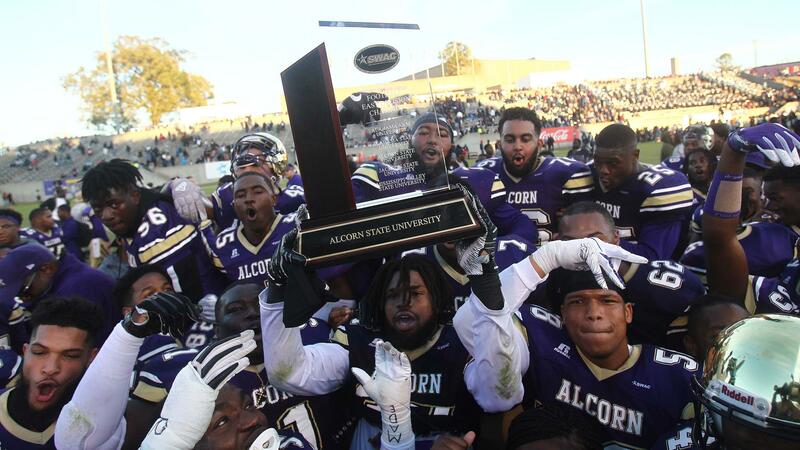 Senior Day will be played on Saturday, Nov. 16 when Alcorn welcomes Alabama A&M. The Braves will close out the regular season on Saturday, Nov. 23 when they head to Jackson State for the Soul Bowl. In 2019, the Braves return eight starters on offense including SWAC Offensive Player of the Year Noah Johnson and SWAC Newcomer of the Year De’Shawn Waller. Alcorn brings back seven starters on defense including All-Conference First-Team selections Terry Whittington, Solomon Muhammad, Javen Morrison and Qwynnterrio Cole. Wave the flag for Alcorn!